"England boast a 100% record against Italy from the 24 test matches they have contested since 1991, but Jones' men will know all too well the problems Italy may pose." England will be desperate to make amends when they host Italy in the penultimate round of Six Nations fixtures on Saturday at Twickenham. After the 21-13 loss against Wales shattered their hopes of lifting the Triple Crown, England will be hoping to put on a show in front of their supporters. 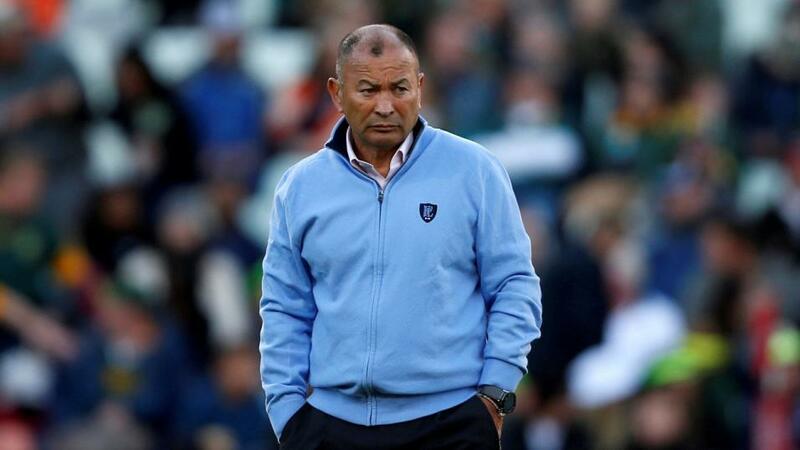 While Eddie Jones has stemmed the tide over the past few months, he will no doubt be feeling a bit of pressure as the tournament fast approaches its climax. Italy have always been perennial wooden spoon fodder, but they will not be coming to Twickenham simply to make up the numbers. The Azzurri threatened to upset Wales last month before Warren Gatland's men triumphed 26-15 to record their 11th straight win. Ireland similarly, nearly came unstuck, but after trailing 16-12 at the break, Joe Schmidt's side survived and they went on to clinch a bonus-point victory (26-16). England boast a 100% record against Italy from the 24 test matches they have contested since 1991, but Jones' men will know all too well the problems Italy may pose. On their last visit to Twickenham in 2017, Italy adopted a novel tactic whereby they failed to commit any men to the breakdown which subsequently served to create confusion as the Italian defenders could stand between England's half-backs. But England eventually warmed to the task after half-time and they claimed a 36-15 win on route to retaining the Six Nations trophy. While Italy have been easy pickings for England in the past, Jones will know better than to underestimate the visitors. And that means that the hosts covering the -33 points handicap at 10/11 is certainly no given. Chris Robshaw's return to the fold will give Jones food for thought. The 32-year-old flanker - whose last England cap came against South Africa in June - has been recalled and included in the provisional 31-man squad to face Italy after a knee injury previously forced him out of the autumn internationals. Despite facing competition at blindside flanker from Mark Wilson and Brad Shields, Robshaw has impressed for Harlequins, who kept alive their chances of reaching the play-offs for the first time in five years with a 31-29 victory over Bath last weekend. Maro Itoje's return is a timely boost as Courtney Lawes is out for the remainder of the Six Nations following the calf strain he picked up against Wales. Uncapped pair Ben Earl and Ollie Thorley have also been called up again, but Jones will name his final team on Wednesday and it will be intriguing to see how many changes he will make. Despite seeing their Grand Slam hopes evaporate, England will still cling onto the hope they can win the Six Nations. While Jones' men will have to keep to their end of bargain by beating Italy, they may need Scotland to do them a favour against Wales on Saturday. However, those chances may be close to remote. Murrayfield has been a happy hunting ground for the Welsh and Gatland has never lost against Scotland while in charge of Wales. Scotland beat Wales 29-13 two years ago, but Rob Howley was in caretaker charge then while Gatland was away on British and Irish Lions duty. Although Scotland have showed glimpses of their potential, they have made some costly errors that has contributed to their disappointing campaign. Victory for Wales would set up a thrilling final-day battle against Ireland while England may just have pride to play for although they will be eager to exact revenge on Scotland, with the auld enemy tasting success at Murrayfield last year.